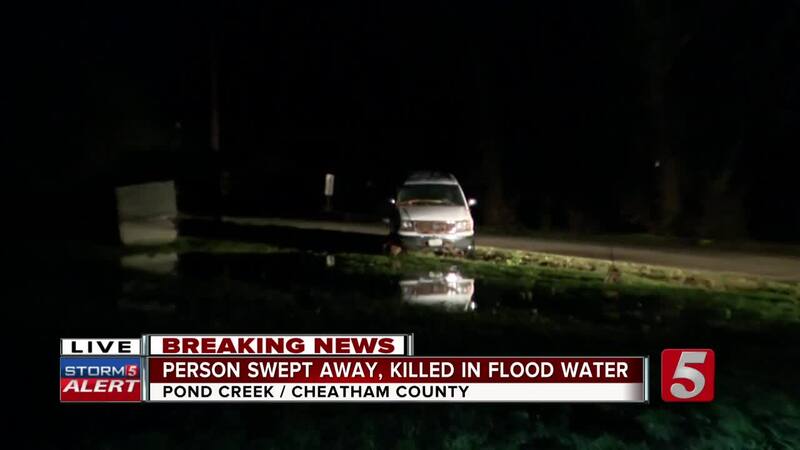 Cheatham County Sheriff's Office confirms one person died when they were swept away by flood waters near Pond Creek late Wednesday. 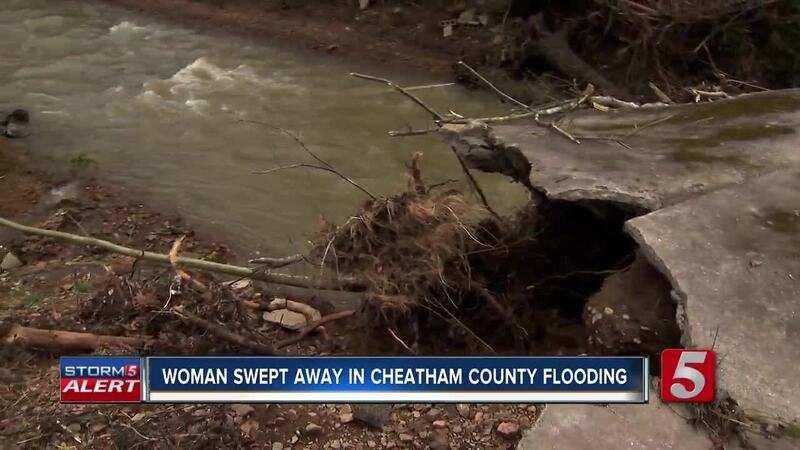 NASHVILLE, Tenn. (WTVF) — One person has died in flash flooding in Cheatham County after storms moved through the area Wednesday night. Officials confirmed 53-year-Old Michelle Cooper was swept away off of a private bridge into a creek off Pond Creek Road. Family members tried to get to her for 20 minutes but they couldn’t fight the rising water. First responders also couldn’t get to the family because they got stuck on the way. Cheatham County Emergency Management Director Edwin Hogan said two additional people had to be rescued but they’re OK.
"It's a troubled area. Whenever we have rains like this, it's problems," said Hogan. "Pond creek, Sam's creek road, dry creek, areas like that, there's a lot of hills over here, and the water runs off quickly, fills up the ditches, fills up the creeks and comes out into the road." Kevin Anderson lives on Pond Creek Road and said he had trouble getting home. “All the bridges were washed and flooded. When I got to mine, that was it. Probably four foot of water over it. So, I just went to my next-door neighbor and pulled into his drive and slept in my car. Waiting for it to get better, let it go down,” Anderson said. Tip from the pros about standing flood water.